You know how amazing you feel after soaking in the sea? 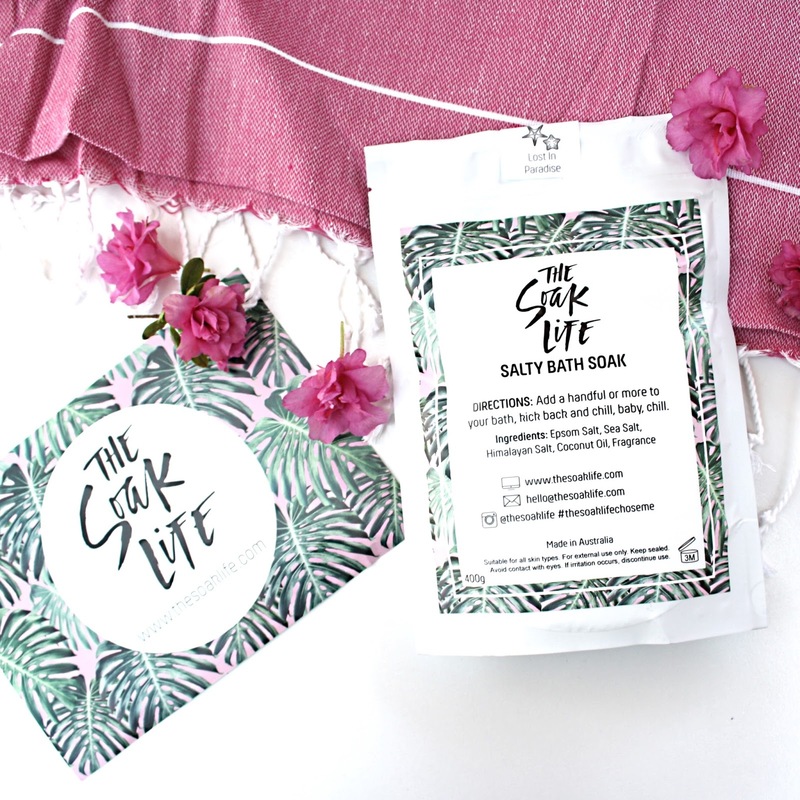 With The Soak Life Salty Bath Soaks you can get that feeling anytime in the comfort of your own bath! Salty Bath Soaks are perfect for relieving tired muscles, detoxing and infusing the skin with trace minerals and leaving it feeling nourished and hydrated. The Soak Life is perfect for use after exercise, to help you relax, or for when you just want a chance to indulge. 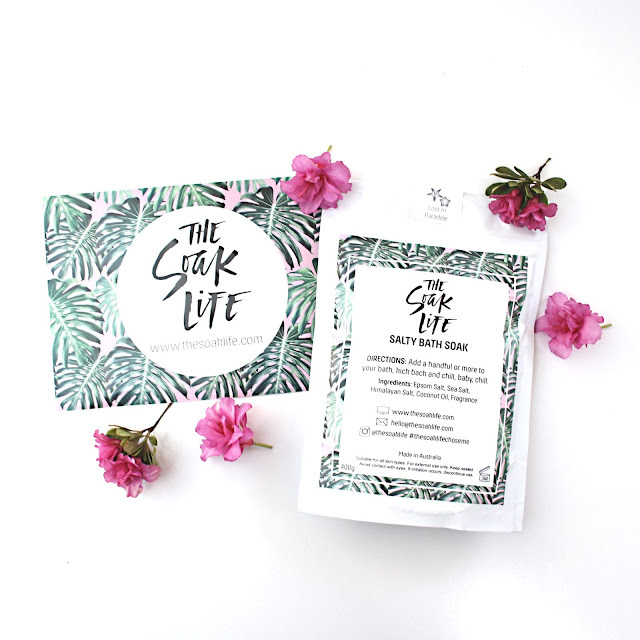 The Soak Life is Australian made, contains natural healing ingredients, and is vegan and cruelty-free! 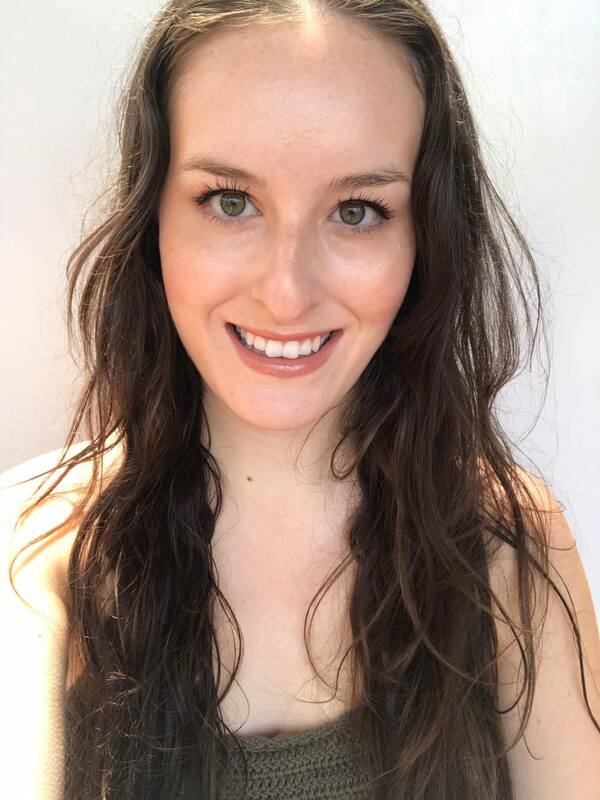 All bath soaks contain a simple but skin loving ingredient list; Epsom salt, Australian sea salt, Himalayan sea salt, Coconut oil, and fragrance. Helps to de-stress and relax by promoting the production of serotonin and reducing the effects of adrenaline. Soothes muscle pain and aches. Relieves muscle tension, pain, and inflammation in joints. Alleviates tension headaches, soothes abdominal cramps and tired, sore feet. Contains minerals and nutrients to leave your skin glowing. Cleanses the skin and removes dead skin cells, leaving the skin soft and smooth. A natural detoxifier and disinfectant which has an antibacterial effect on the skin. Contains 84 elements and minerals including calcium, magnesium, potassium, copper and iron. Helps draw out toxins, deep cleanses the skin, and helps cleanse the body energetically. Relaxes cramped and sore muscles. Healing minerals refresh and energise the body. Nourishes and hydrates the skin by replenishing your natural skin oils. Contains anti-oxidants in the form of Medium Chain Fatty Acids (MCFA’s) to protect the skin from free radicals. Naturally antibacterial, anti-fungal and anti-inflammatory. 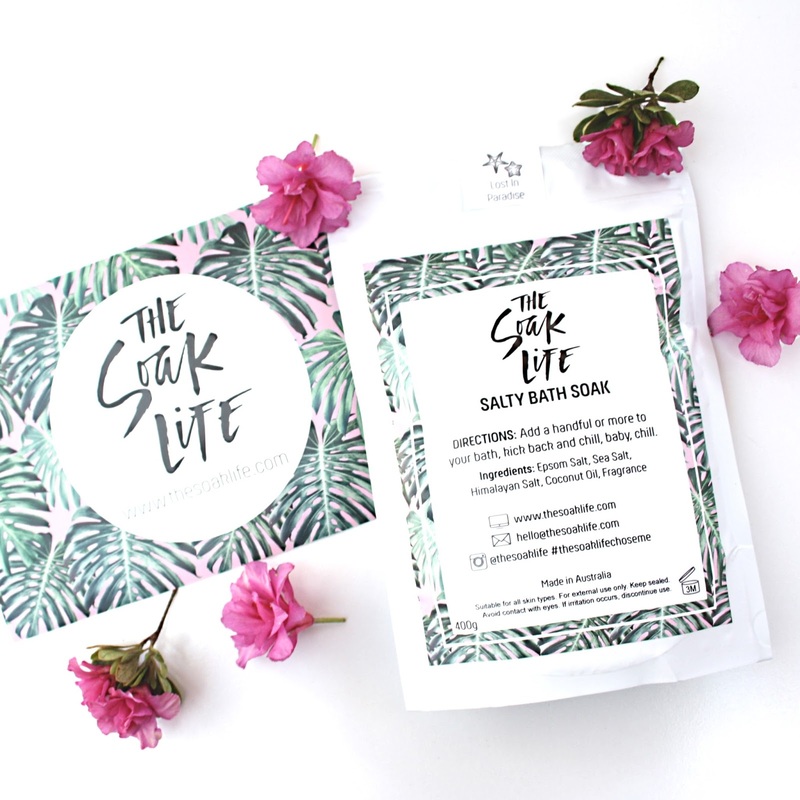 I had the chance to test out The Soak Life's Bath Soak in Lost in Paradise, and I am in love! Lost in Paradise has a delicious tropical, citrus scent that smells almost edible. It is a gorgeous blend of coconut, mango, and tangerine blended with tiare flower and hibiscus on a sweet vanilla base. To use, I simply add a handful or more to my bath, and then sit back and relax. Ahh! I love this bath soak and find it makes my skin glow so much afterwards. The salt in it helps clear up any body acne I have, and my skin is hydrated from the coconut oil. Win-win! *Product sent to me for reviewing purposes. I've heard of this product, it sounds so lovely! I absolutely love a relaxing bath so this kind of thing is right up my street! It's the perfect product for relaxing! Oh my! I need to try this. It sounds amazing! I so need to buy this product! It sounds perfect! Any product which contains coconut and mango I'm sure to love!